What factor determines the success of your wedding? Packed dance floors. If you’re like the typical bridal couple, success is determined by a packed dance floor, and if it is empty, the wedding is considered a failure. If it is packed all night long, well, that is the gold standard for wedding success, at least according to the many couples we’ve worked with over the years. … and knows how to motivate wedding guests to get out of their seats. Here’s the deal, though. Each wedding couple is unique. You’ve got your own personality and your own idea on what defines class, style, and energy. Some Cincinnati brides want their reception to have the feel of a dance club, complete with high energy music and fabulous club lighting. Others like elegance and dreamy lighting right out of a fairy tale, and some like a combination. We’re flexible, and we tailor each event to the style of the wedding couple. You also need to consider the level of interaction you’re looking for from your DJ/MC. The more interaction, the more dance floor participation. We are masters at making even your shy guests feel comfortable getting out of their seats and joining the fun on the dance floor. We’re able to do it without cheezy gimmicks or tacky songs. And we never, ever make anyone uncomfortable. How much interaction is right for you? Let’s talk. Tell us about some of the music you’d like to hear played at your reception, and be sure to check out our online music database. Tell us about your guest list and venue. Together, we’ll establish the parameters that determine successful weddings. 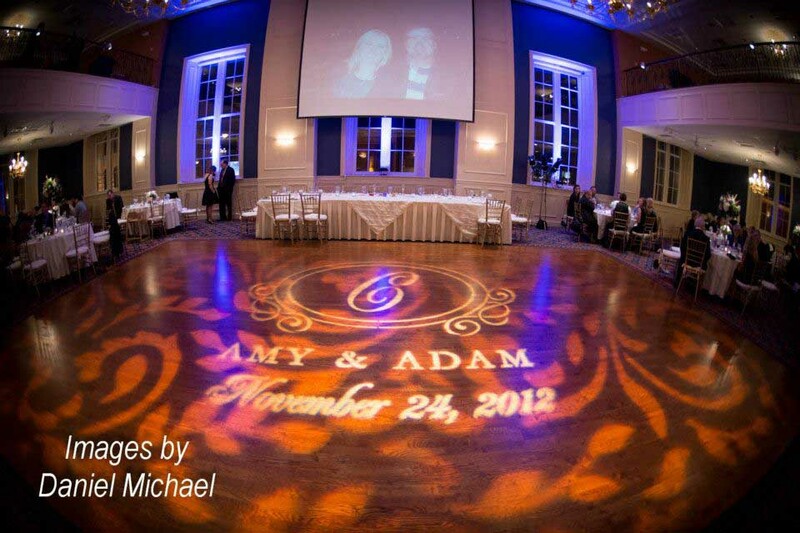 In our hands, your wedding celebration WILL be a success, complete with a packed dance floor. © 2019 Queen City DJ.